The South East Schoolgirls Committee organise hockey for the South East Region. 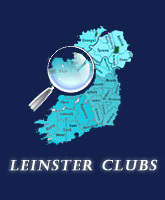 Leagues are organised for Senior, Intermediate, Junior, Minor and 1st Years and there are five Cup Competitions - Senior A, Senior B, Inter A, Junior and Minor. The winners of the Senior A Cup Competition represent South East in the All Ireland Kate Russell Schoolgirls Competition.